Hawaii is composed of such a wide variety of different cultures, and many of these cultures have brought their barbecuing traditions with them. This has created a varied food scene in Hawaii, with cooking traditions and flavors popping up in the different eateries on the islands. Barbecuing meat is one of the cooking traditions that has taken strong hold in Hawaii, with Japanese, Korean, America’s South, and Hawaiian preparations available in several mouthwatering restaurants. Continue reading to learn more about the best places to eat barbecue in Hawaii. Korean cuisine is famous for its barbecued meats. At Gina’s Bar-B-Q, you can taste homemade Korean barbecue for lunch or dinner. Their set lunch plates provide a ton of food at a low price and you can dig into barbecue chicken, beef, or pork, or instead, opt for a combo plate of both barbecue beef and chicken. If you need to order for your whole family, they offer a family pack, which has barbecue kalbi, chicken, beef, and more. Enjoy Japanese barbecue with succulent, high-quality meats that you cook over a charcoal grill at your table. This is a great dining experience for groups of friends, as you can grill meats and eat snacks will sipping beer and chatting. Meats on the menu include skirt steak, short ribs, and aged steak. This family-run establishment offers barbecue meats that have been smoked in a drum barrel. Entrees include large baby back ribs, a chicken and rib plate, pulled port, pulled beef, and even half a chicken. Perfect accompaniments such as corn bread, beans, and macaroni salad are also on the menu. Kono's Restaurant is well-known for their 12-hour roasted kalua pork. Some outlets of Kono's are open for breakfast, lunch, and dinner, making this a perfect place to taste some of Hawaii's famous kalua pork at any time of day. For breakfast, you can dine on kalua pork breakfast bombers; for lunch or dinner, feast on plates, sandwiches, or salads. Recently voted the best food truck on Hawaii, it is worth it to track down Tin Hut. Tin Hut was started by a veteran, Frank Diaz, and since its opening, it has been an incredibly popular spot for barbecued meats in Oahu. Signature rubs are used on the meats, which really work to bring out the flavors, making every diner want to return for more. Big Texan BBQ rivals its Southern barbecue counterparts. They serve mouthwatering pulled pork and brisket as well as the sides you'd expect of any great barbecue meal. Aside from its food, Big Texan BBQ is known for their tea that gives you a taste of the South while in Hawaii. Diners participate in the cooking of their own meals at Korean barbecue restaurants such as Sura Hawaii. Here, you'll get to enjoy roasting high-quality meats and vegetables on the in-table charcoal grills. This fun way to cook and eat really focuses on the quality and natural flavors of the food, and this gets enhanced through the barbecuing process. Other than grilled meats and vegetables, diners can order from an array of soups and noodle dishes. Pearl's Korean BBQ is a family-owned chain restaurant with five locations (Ewa, Kahala, Pearlridge, Waikiki, and Waipahu) across Hawaii making it more convenient to visit. If you'd like to taste Korean barbecue, but don't want to cook your own meal or on a time limit, Pearl's serves made-to-order meals featuring barbecue short ribs, charbroiled chicken, and barbecue chicken. Plates are available with heaping portions of meat, rice, and accompaniments, and Pearl's even offers combo plates if you'd like to try different meat options. This family run restaurant aims to serve authentic Hawaiian food to both locals and tourists. They serve kalua pig cooked in a traditional imu as well as short ribs cooked pipikaula style. These two barbecue options show off Hawaii’s excellent food culture and unique traditions such as cooking in an underground oven heated by lava rocks. 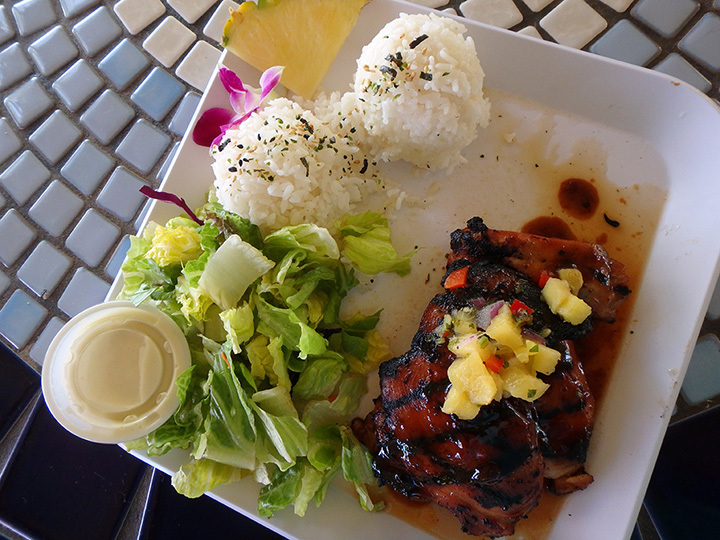 Stop by to taste Hawaiian food cooked using historical methods. With a name like Fat Daddy’s Smokehouse, you know the barbecue is going to be good. Enjoy all of the mouthwatering meats your heart desires at this Kihei hot spot. Try the burnt ends—the trimmings of their classic brisket option, but re-smoked. It’s to die for. If you want to go big and try a little bit of everything, order the “Who’s Your Daddy?” This sampler plate comes with ribs, burnt ends, chicken, Texas hot links, brisket, and pulled pork, along with two pieces of cornbread and two large sides. Eat up!